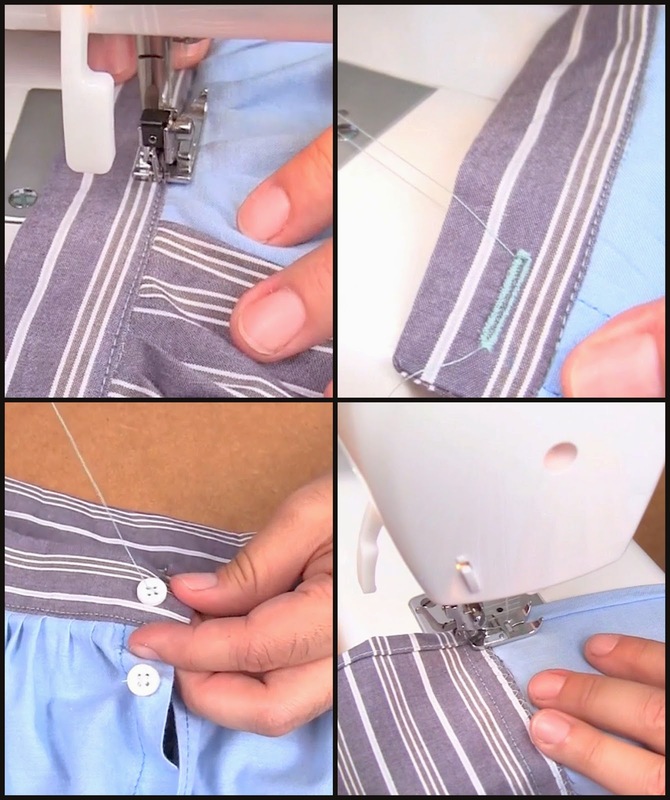 Today I'm sharing my ultimate shirt to skirt tutorial with a real sewn waistband. 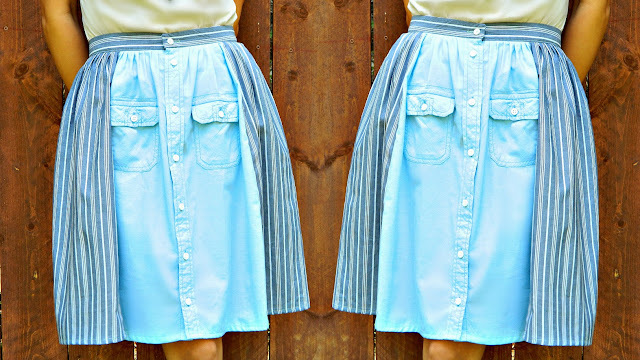 Most tutorials I see for these skirts have an elastic band, so I wanted to kick it up a notch. 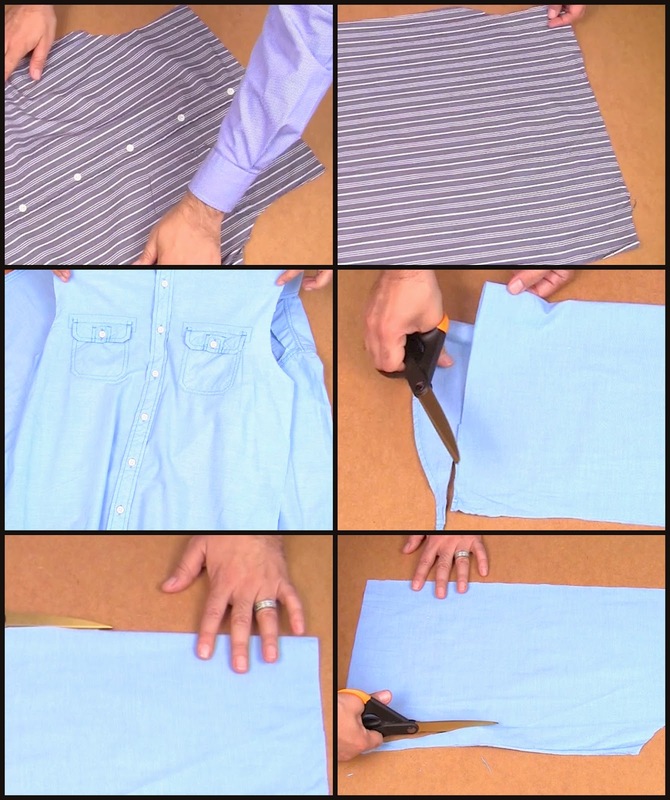 I'm also using two shirts instead of one for some added fullness. 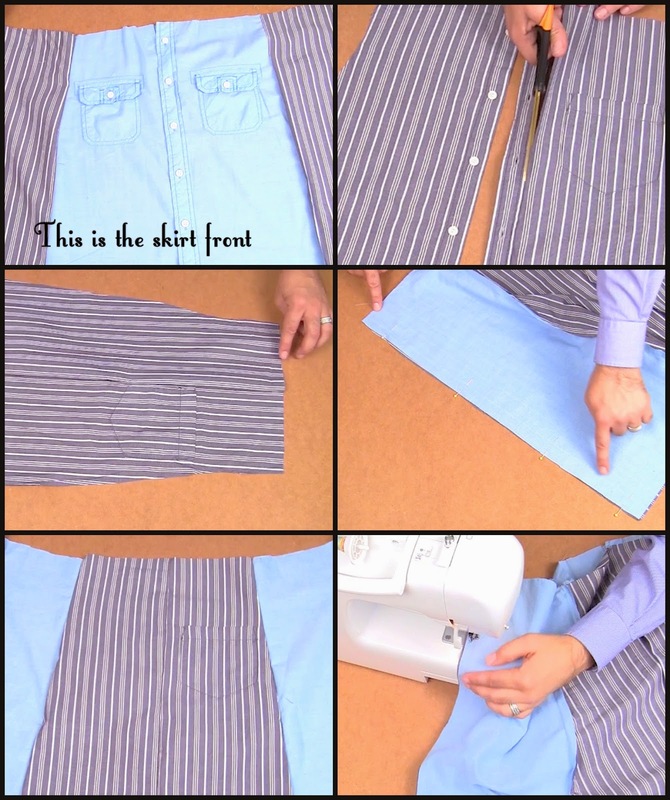 Depending on the size of the shirt, you can use either one or two shirts. It's up to you. 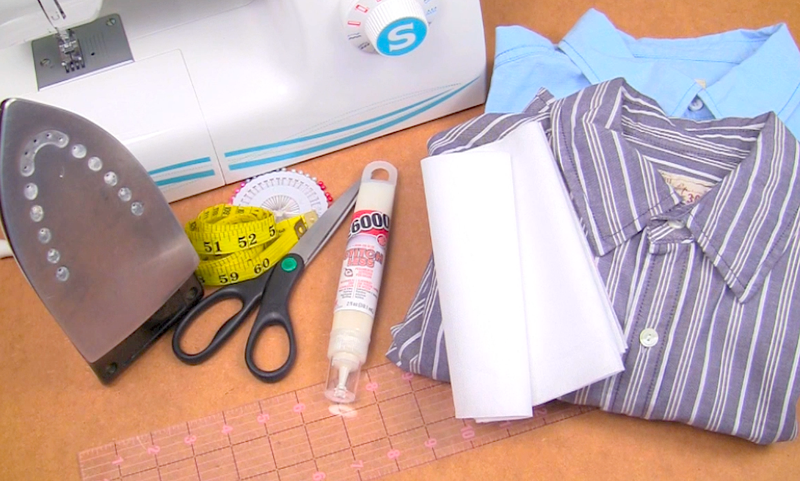 The key is to use as much of the shirt fabric as you possibly can without wasting a scrap. 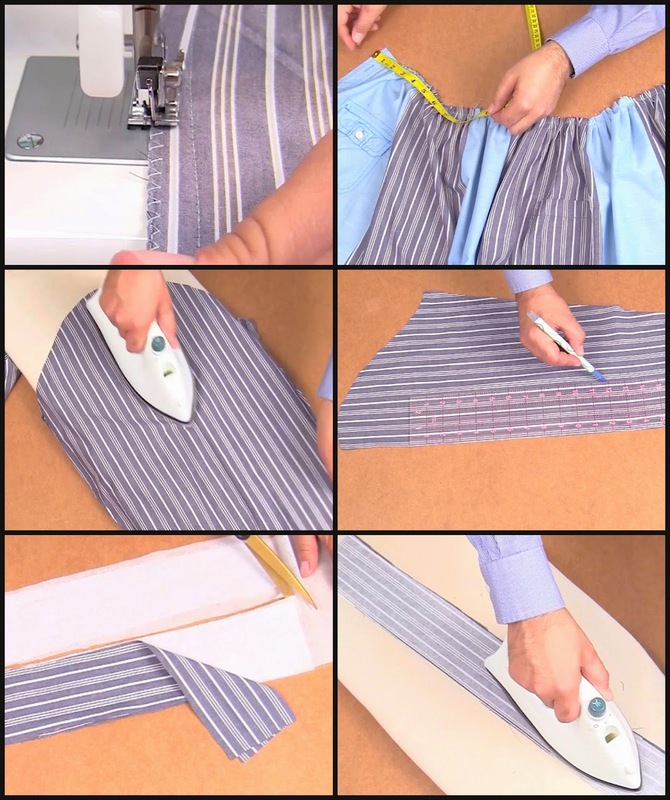 I agree with your observation about elastic waists. 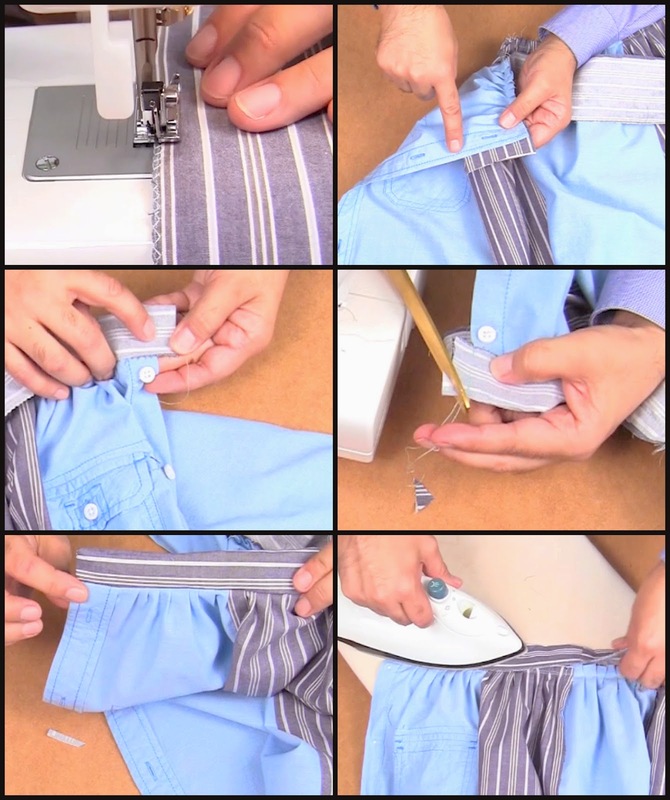 The extra effort to sew a waistband is great. 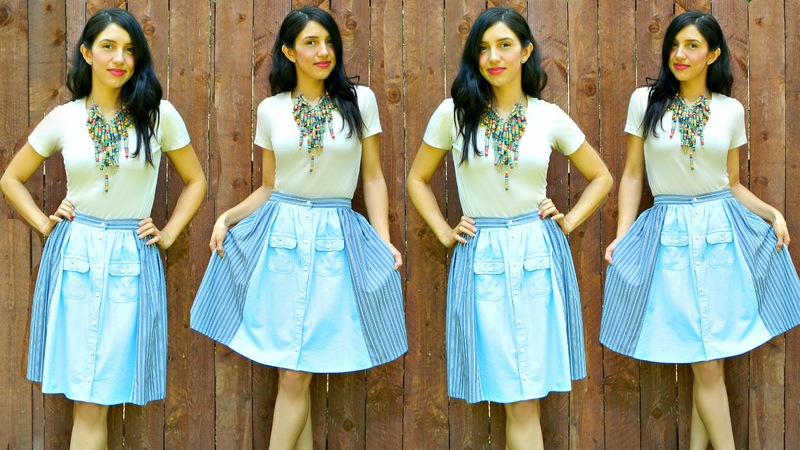 You were extra creative to make a look from two shirts!